Our extra long 10-Foot Cinch Buckle Cotton Yoga Strap is the perfect yoga strap for taller yogis, long legged yogis, or those who prefer extra length. The plastic cinch buckle is strong and easy to adjust. Using yoga straps will increase depth of stretches and proper alignment. This long strap has a perfect width at 1.5 inches and is also available with D-ring buckle, pinch buckle, or without a buckle at all. This is my favorite strap for some of the shoulder girdle work (preparations, poses, and restoratives) needing a longer strap. I have brought these many times for client groups - thank you! Soft cotton, long enough, just what I wanted and needed. 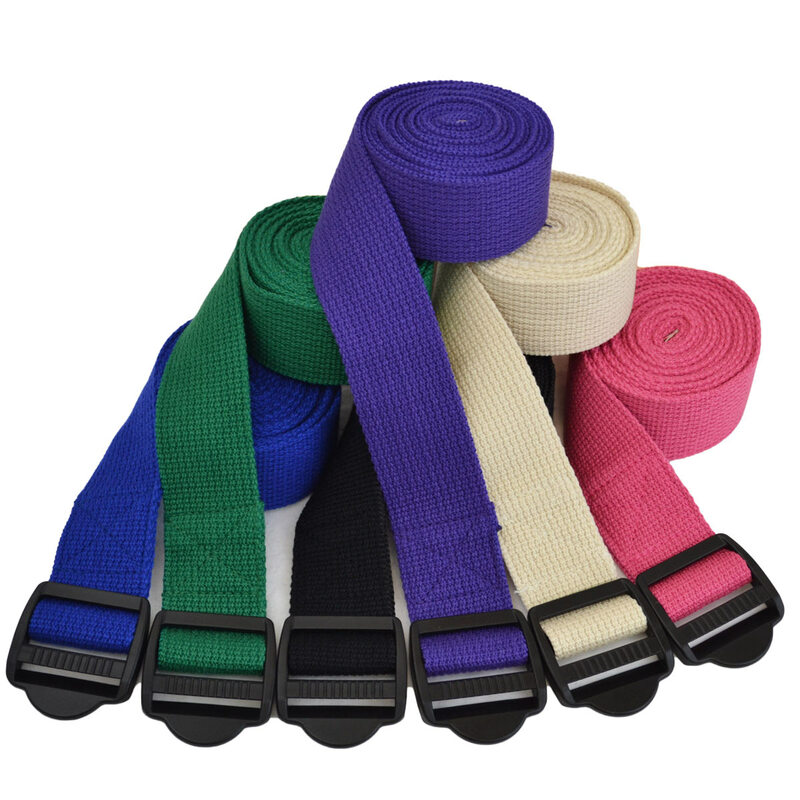 These are durable,multifunctional yoga straps, that can be implemented in every type of yoga class, including chair/mat yoga. Great straps! Soft and not hard on the hands and long enough for strap work. The belt is great. I wanted one that was long enough to work my shoulders in a certain fashion. This does it. Thanks. Well made and the strap works very well for the poses. I am a big and tall man which makes yoga difficult but very important for my health. This strap makes it easier for me to reach my leg because it is so long. Other straps are too short. I am a physical therapist and I incorporate yoga into my patients programs. I have found that the shorter straps just don''t cut it when someone is rehabbing from an injury. Thank you Yoga Accessories for making a strap long and strong enough for my patients. Finally a Really Long Strap! Not many yoga companies make a ten inch strap. I am very excited that Yoga Accessories does because my yoga practice would be impossible without it. I tend to break every strap that I get my hands on, except for this one. It is so strong!